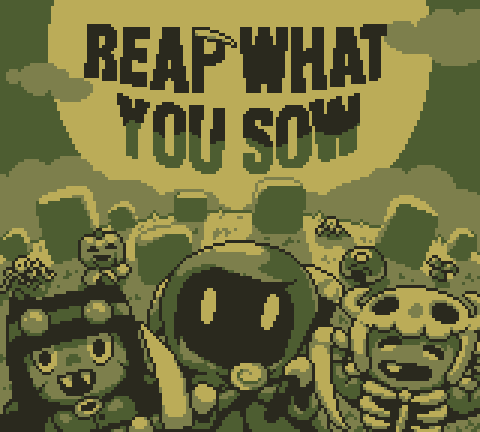 I took part in GBJAM 5 last week, and my team made a spooky farming sim in HaxeFlixel called Reap What You Sow. You own a plot of farm land next to a graveyard, and you have to explore it to find new haunted crops to grow, and then cut them down (essentially, what it says on the tin). Since it's a jam game, it's a little buggy, but I might return to it later, after I finish Fist's Elimination Tower.